Do your research beforehand. Want to know a little secret? I HAVE NEVER paid full price for a fitness-related event. I almost always seek out any deal or discount that may exist. I am here to make that part easy for you this time around. HERE IS AN EXCLUSIVE DISCOUNT TO THEFITEXPO LA SATURDAY JANUARY 6 and SUNDAY JANUARY 7, 2018 for Day Passes only. Use Special CODE: fitbritla18 for $10 OFF a day pass! CLICK HERE to use this exclusive discount! Want to know a secret? I actually used a Groupon 20% off code and got my ticket for $16 to this expo! PARKING CAN BE PRICEY...BUT I HAVE A DISCOUNT FOR YOU! Be prepared to pay to park! The parking garages at convention centers tend to usually charge a set fee for the day so in many cases if you are only going to spend a few hours at the expo it isn't worth spending all that money. I suggest looking at cash lots a couple of blocks away. I have parked a few blocks away for $5 in the past. 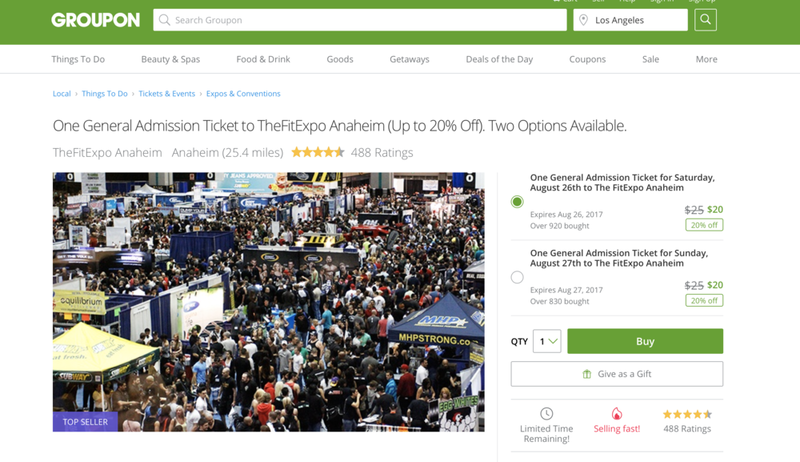 This particular expo is affiliated with the app SpotHero, an app that finds super cheap parking spots available near your event! For $10 OFF your first parking reservation click HERE. Again I have scored a $5 parking spot good for 24 hours using this app in the past. If driving is totally out of the question look into alternate transportation...train, bus, or Uber! Could be easier and less of a hassle! TRUST ME many people don't even think to bring a bag because they assume every vendor will be handing them out...BUT this isn't always the case. You can be slammed with free samples and goodies from the second you enter the expo and if you don't have a place to put all these goods you will find yourself very overwhelmed and turning down some really good samples! Avoid the chaos and pressure to get in line for a reusable bag and bring your own! You will thank me later. Just like any event in a big city... expect crowds! But to avoid them arrive at least 30 minutes before the expo start time. Based on my experience upon arriving early there may be a massive line you are getting into BUT as the line begins to move to get let in people head in all different directions (many competing early on in the day) and the crowd isn't as big inside as it seemed standing in line on the outside! Now with that being said usually when I am all wrapped up and about ready to go (about 2-3 hours in) the lines are much longer, crowds are BIG, and the expo to me feels like one giant traffic jam! I personally rather arrive early, get my goods, maybe even make two rounds to my favorite vendors, and head out rather than spend double the amount of time there trying to see everything because I arrived in the late afternoon. Yet another reason I recommend an early arrival! Vendors WILL run out of stuff! The prices and deals are so great it is just inevitable! At the expo a few years ago I fell in love with Real Good Pizza Co. (Mini Protein Pizzas) and you better believe people were racing to this vendor to stock up on protein pizzas. Last expo they had a great deal (at the time they were only sold online...now I have seen them at Vitamin Shoppe AND Ralph's!) and I told myself "Well... I will come back before I leave the expo because they are kept frozen and I don't want them to go bad"...MISTAKE. I came back 3 hours after the expo began and the vendor was completely shut down because they sold out for the day! BUMMER! So definitely get to your favorite vendors first! 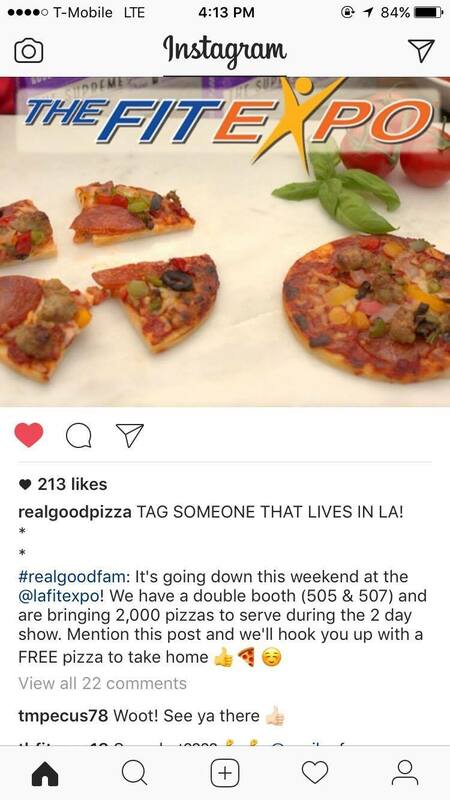 Real Good Pizza Co. will not be participating at this year's expo but I have my eye on some other really great vendors! I have also even seen some vendors run Instagram specials and deals like "the first 200 people at our stand get... a free protein pizza, a free passion planner, etc." Be on the look out on the Fit Expo's Instagram and brands attending for these types of specials and deals! And if you are worried about keeping things cold/frozen bring a little cooler bag with ice packs! Do what you gotta do! We actually got a cheaper deal on these shirts for paying with cash! Just DO IT. Don't question it. You never know. A vendor may only take cash or a vendor may have issues with service and their swipe machine could be acting up. Just have the cash to avoid the convention center's ATM fees and lines. Also I went to an expo before and the ticket itself ended up being CASH ONLY when I got there... BLAH! You may also find a parking lot you are comfortable parking in for cash only. I have even seen food truck's outside the expo for cash only. Just take some cash! I usually take $40-$50 in cash to be safe! Click for a first-time order discount. Hey even if you aren't a social media influencer, trainer, or involved in the fitness industry it is still a good idea! You never know who you are going to run into and meet. Also, these expos are great in general for networking and collaborating with other people, brands, and gyms. 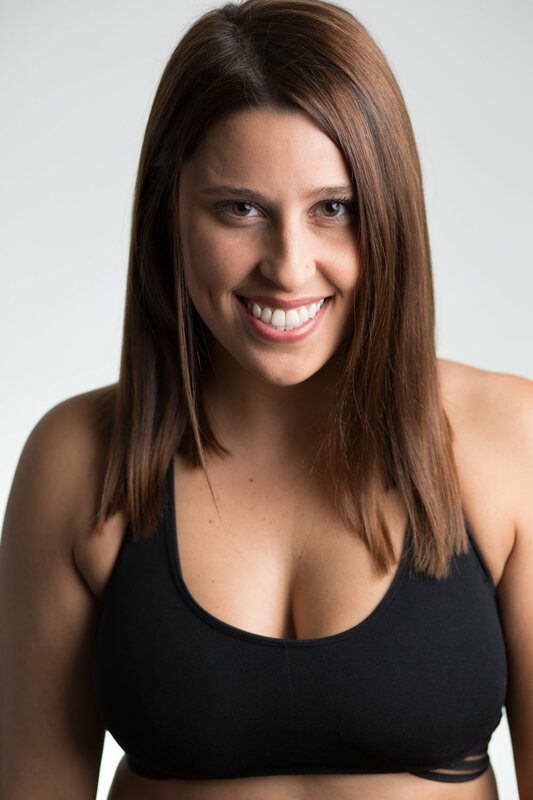 Maybe you want to give your business card to a gym to potentially host a workout class for all your co-workers! I always hand at least 5-8 cards out at these expos! Click here for a discount on your first order! PLAN. PLAN. PLAN. Get your time and money's worth at TheFitExpo! Maybe you have to sign up ahead of time to be part of a Jillian Michael's group workout OR participate in a cooking demo. Check TheFitExpo Guest Appearance List and workout schedule ahead of time so that you can really take advantage of all the expo has to offer! I PROMISE you this is a MUST! You are going to be showered with protein samples, snack samples, pre-workouts, and you are going to find yourself feeling thirsty and just wanting some water to flush it all down. I always take a super full SWELL bottle with me to the expos and I actually find myself looking to refill it multiple times throughout my time there. Again, don't assume a vendor will be handing out a pH water or just regular water because I have been to expos where I have gotten water (but you never know when you will find that vendor) and I have been to expos where I didn't get a single bottled water. Play it safe and come prepared with your H2O. The last thing you want to be during thefitexpo is FREEZING. You never know if the air will be super cranked up or if the crowds of people can cause you to break a sweat. You want to be prepared and comfortable while you are exploring the expo so just tie a zip-up around your waist. No harm done there! To find out more about TheFitExpo check out my recap from this year's expo in Anaheim! SEE YOU AT THEFITEXPO LA FIT FRIENDS!